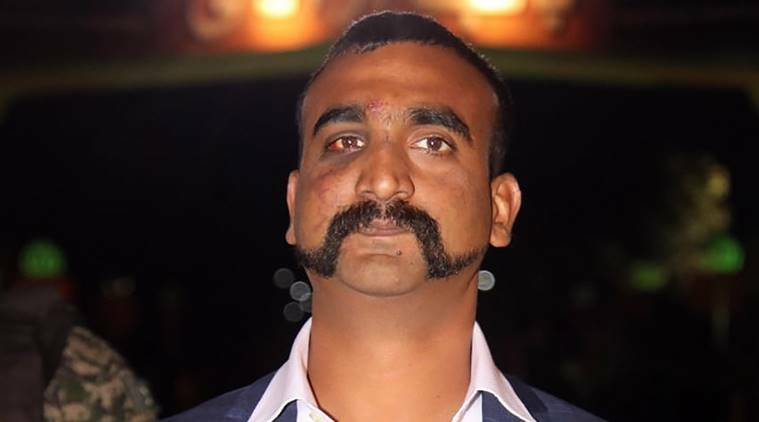 Home Abhinandan Varthaman Welcome back our hero: Sports stars hail IAF Wing Commander Abhinandan’s return. Welcome back our hero: Sports stars hail IAF Wing Commander Abhinandan’s return. Hailing Indian Air Force Wing Commander Abhinandan Varthaman for his courage, former opener batsman Virender Sehwag said Friday that the nation is proud to have him back. After being in the custody of Pakistan Army for two days, the IAF pilot was returned to India at the Attari-Wagah border crossing. The entire nation welcomed Wing Commander Abhinandan Varthaman as he finally returned home on Friday. The IAF pilot was released by Pakistan after his plane crashed on the other side of the border. Several Bollywood celebrities were also among millions of Indians who welcomed the hero. Gully Boy actor Alia Bhatt tweeted, Our hero is home. Abhinandan. Zero actor Anushka Sharma too called him a true hero and wrote on her Twitter handle. The entire nation welcomes you home Abhinandan. You are a true Hero, she tweeted. Kartik Aaryan, who saw the release of his film Luka Chuppi on the same day, also welcomed him home in his tweet that read, \Salute to the Wing commander AbhinandanVarthaman Nation is proud of you. Prayers for your safe return Peace. Why Cheat India actor Emraan Hashmi hailed him as his hero and wrote, Such calm and resilience in the face of adversity . Prayers for our brave pilot AbhinandanVarthaman . Hope for his safe return. Praising Abhinandan’s bravery, south star Mohanlal tweeted, Because this is where you belong. Welcome back to our Motherland Abhinandan. Salute to the bravery n valour. Jai Hind. Athiya Shetty, who made her debut with Hero, also wrote on her Twitter account, Welcome home AbhinandanVarthaman words will never be enough, we have so much gratitude. Thank you for your bravery and selfless service. You are more than our hero, you are our hope. Jai hind.